You may not believe, based on their actions, that the new board majority believe in transparency. However, at tonight’s board meeting, they were being very transparent about some things, like your wireless traffic. 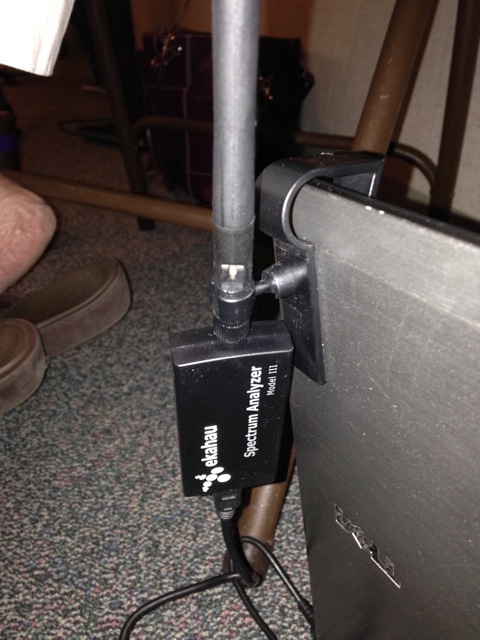 This little device, an Ekahau Spectrum Analyzer was plugged into a district laptop by district staff to record and monitor all the wireless traffic in the room tonight. analysis”. Now, you need to realize that hopping on a public wifi network like the one offered by the district opens you to having your traffic monitored using a packet sniffer like Wireshark. That is unchanged, but what is new is the very fine level of detail the district is capturing about your wifi communications. This board ran on a platform of protecting our children’s data. Apparently the same doesn’t apply to community members, parents, teachers and others who attend board meetings. Will they roll this technology out to the schools? How will they use the data they’ve captured? We don’t know, but you may want to write to the board president, Ken Witt and ask him. 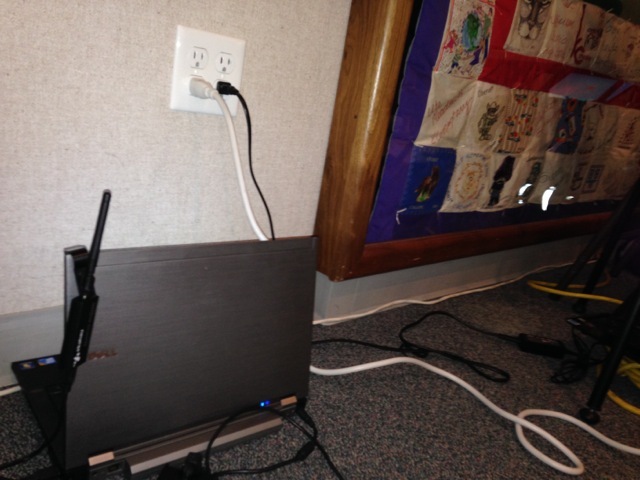 We recommend not using the district’s wifi if you want to ensure your privacy.